Home › New Products › So What’s New? 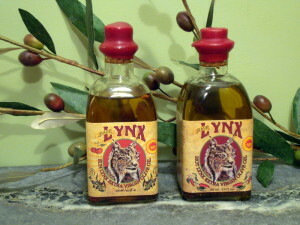 We are so excited to introduce the newest additions to our line of Rare Lynx products! Then for our own pleasure, and the irresistible pleasure of others, because olive oil is so delicious on your skin, we have designed two beautiful products to bath yourself in. First we have a massage oil infused with lavender essence in our high quality spray bottles from Spain. Some of you may know Christopher started as a massage therapist many moons ago and so he was able to find the perfect blend. The massage oil is so luxurious I soak myself in it, and my skin just drinks it up!We also now have hand made soaps made from our very own finest extra virgin olive oil, in two versions, scented with essence of lavender and unscented. 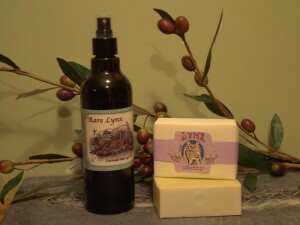 This is the purest Castile Soap around, an antique recipe from the old world. If you have sensitive skin or are sensitive about exposing your skin to all the chemicals found in soaps today, you will want to try this!